Late blight — a highly contagious and devastating disease of tomatoes and potatoes — has been confirmed in Wayne, Wyoming and Livingston counties. If your crops have been infected, it’s critical that you take action to help stop the spread of the disease. 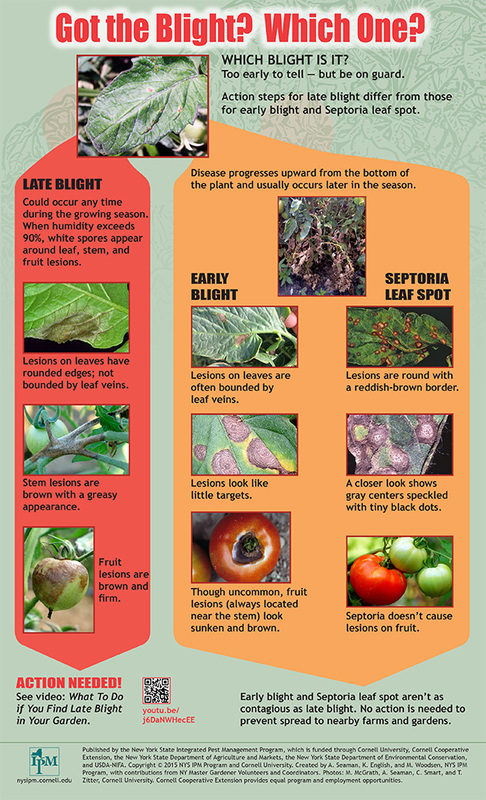 The New York State IPM program has developed posters and videos to help you identify the disease and learn how to properly dispose of infected plants. Please share them widely.